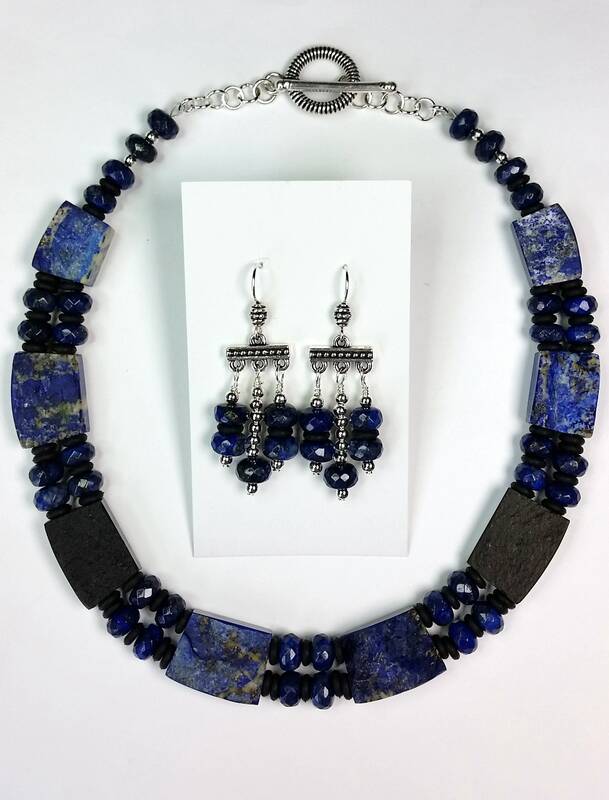 Luxurious Lapis lazuli shaped into rectangles that are double drilled create the foundation of this unique collar necklace set! 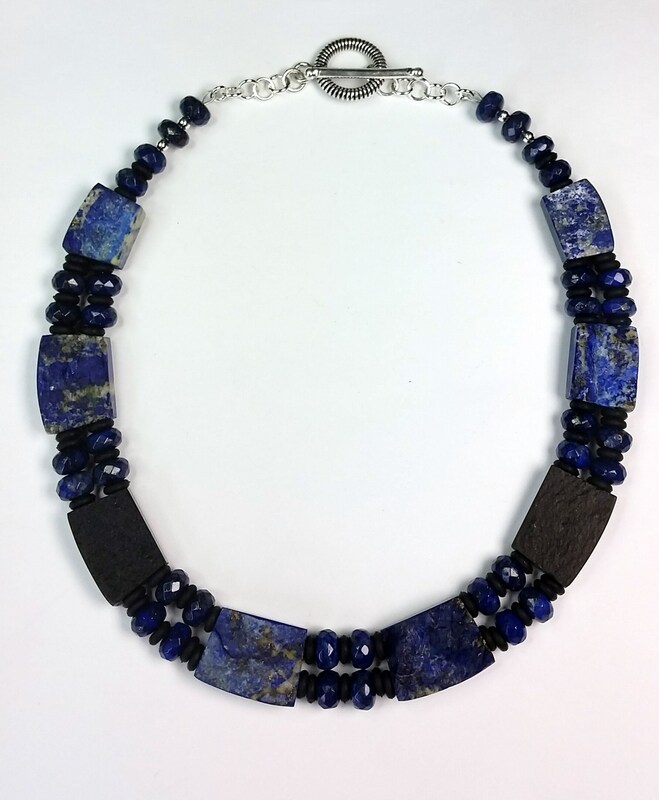 One side of the lapis - some would say the "main attraction" side - is left purposely unpolished, while the other side is highly polished! You choose! Each of the rectangles are approx. 6-7mm thick. 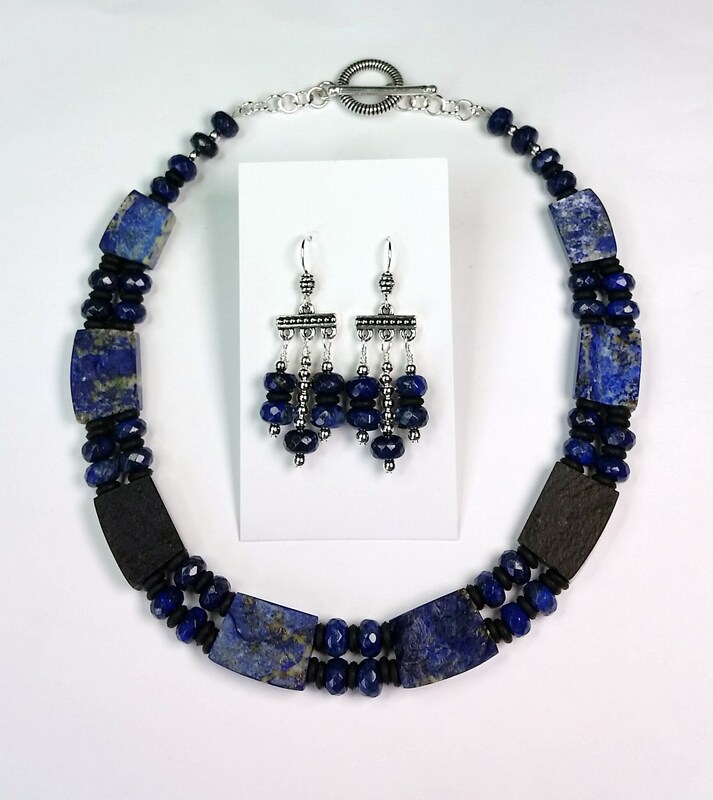 Between the rectangles are finely faceted and polished lapis lazuli rondelle beads and black bumper beads. 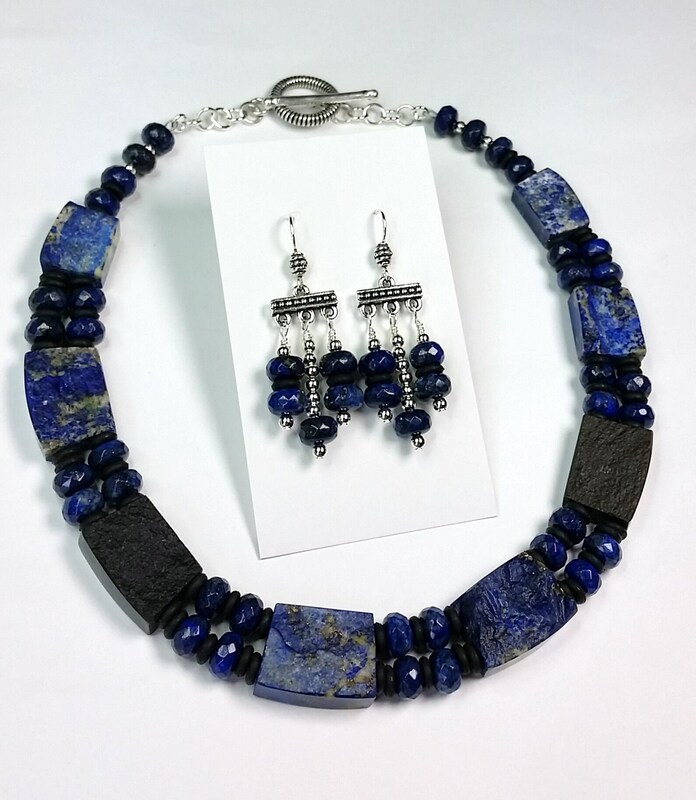 Two of the rectangles are black onyx (second from the middle two lapis rectangles). 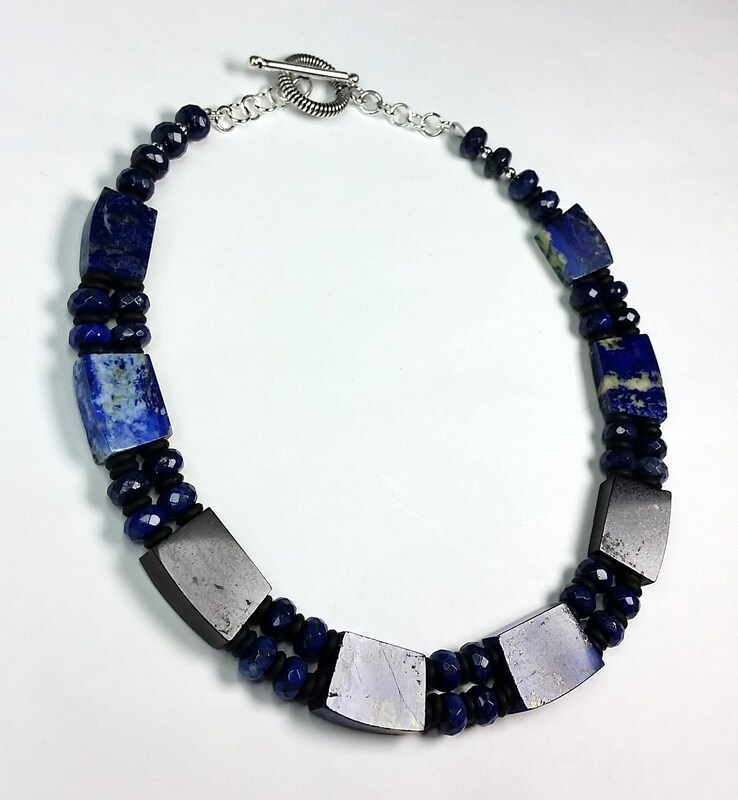 The back of the neck part of the necklace comes together into a silver filled single chain. The closure is a silver filled easy toggle. 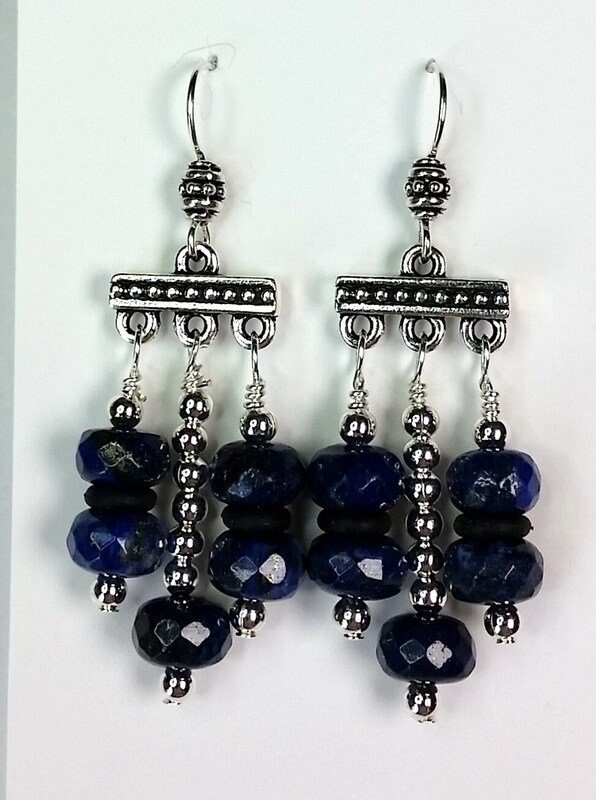 The matching chandelier earrings on sterling silver ear wire have 3 drops each with faceted rondelle-shaped lapis lazuli beads. 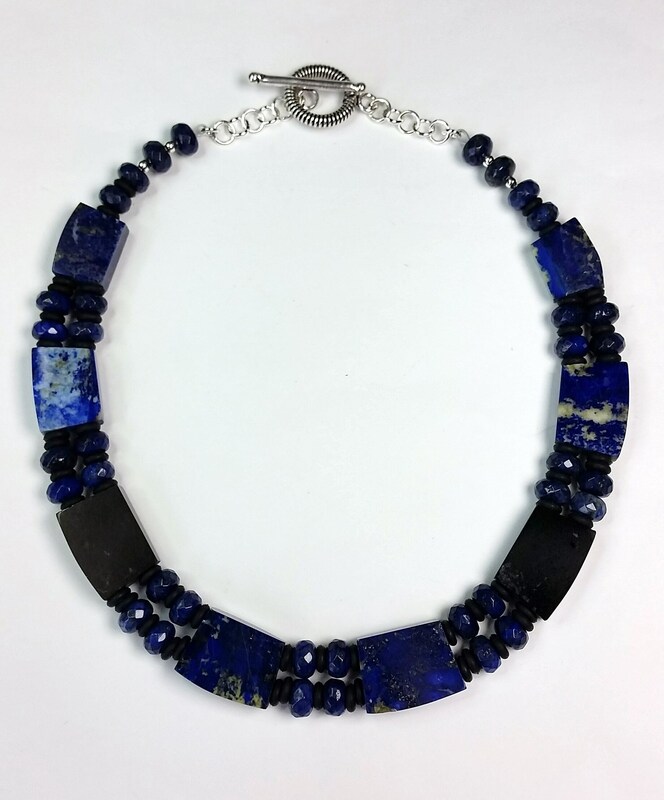 This lapis necklace measures approx. 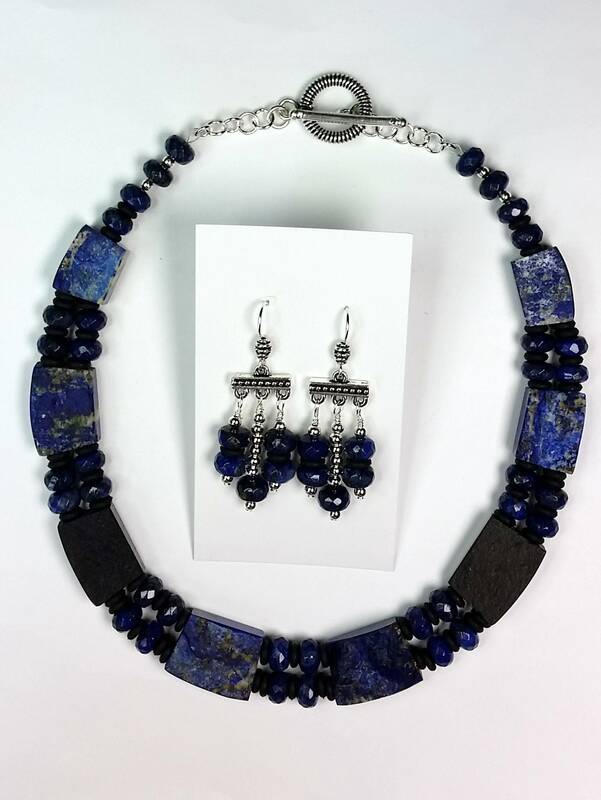 16.5 inches in length and can be shortened upon request. 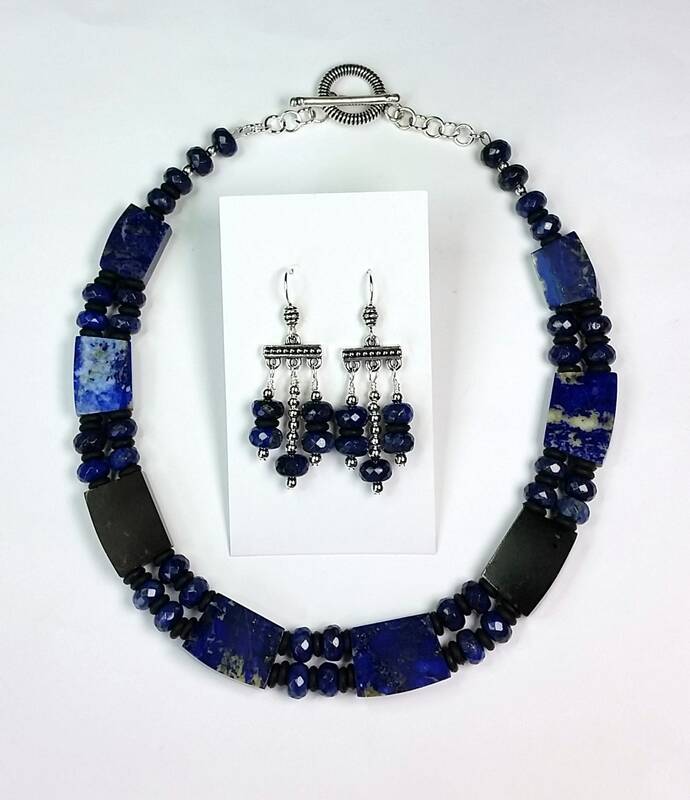 Lapis lazuli is said to be powerful as a protective stone that can also balance the physical, spiritual, mental and emotional qualities one has.